In 2018, the year of the blockchain, new blockchain projects are as plentiful like fresh sprouts after the first rain in Spring. This year, valuable projects will continue to grow, and redundant projects will fade away. The blockchain has gone through Blockchain 1.0 (Bitcoin and related virtual currencies) and Blockchain 2.0 (smart contract blockchain technology represented by Ethereum). Now, we are in the Blockchain 3.0 (in addition to currency and finance, blockchain applications in other areas, including government, health, culture, art, and more) era. This new era has already produced many outstanding projects built on the blockchain. Some work in finance, some in machine certification, and others in culture, or social. These are all relatively simple projects. However, there are two projects with incredibly high difficulty levels. One is EOS. The other is Elastos (ELA). Currently, we have Microsoft Windows, Apple MacOS, open source Linux, and Android and iOS on mobile phones. However, on the blockchain, we still do not yet have a mature and complete operating system that allows blockchain developers to successfully develop blockchain applications. These two projects are the operating systems of the blockchain. EOS was developed by BM (Daniel Larimer). Prior to EOS, BM was the founder of BitShares. Later, he switched over to the EOS team to lead the development of EOS. When BM discovered Bitcoin in 2009, he decided to create a new digital currency, and he quickly contacted Satoshi Nakamoto at the Bitcoin Forum. At that time, many centralized exchanges were being shut down due to human-related issues. This shocked him. From then on, BM decided to start a decentralized exchange, which he named BitShares (BTS). At least, this is how BTS tells the story. Whether or not BM immediately decided to set up a decentralized exchange is less important to the narrative. After about two years of BTS, BM switched to EOS. EOS has a blockchain-based decentralized architecture. It functions like an operating system on blockchain architecture platform, and is used to enhance the performance of distributed applications. It can support millions of transactions per second, which can solve congestion problems in Ethereum. Elastos wants to create an operating system. This operating system is the world’s first operating system that allows the trusted attributes of the blockchain to be passed on to users, AND users can use it freely in everyday situations. Elastos was born in 2000, originally proposed by Rong Chen, the founder of Elastos. It says on Elastos official website that since the operating system was born earlier than the Internet, operating systems were used as Internet applications after the arrival of the Internet. Due to successive problems, there was a huge hidden security danger. Of course, many hacking vulnerabilities are currently caused by inadequate design considerations of the operating system. Everyone who has used Windows knows that it asks you to update the system patch often in the short-term, and to upgrade the operating system directly, from xp to win7, win8, win10, in the long-term. Elastos was created to solve the security risks of the Internet. Rong Chen graduated from Tsinghua University in computer science department in 1982 and went to the United States in 1984 to study operating systems and object-oriented programming. In 1987, he obtained a master’s degree. In 1992, he participated in the operating system group of the Microsoft Research Institute in the United States, developed a component-oriented operating system, and participated in the planning and development of a service-oriented (SaaS) operating system (.NET) in 1998. 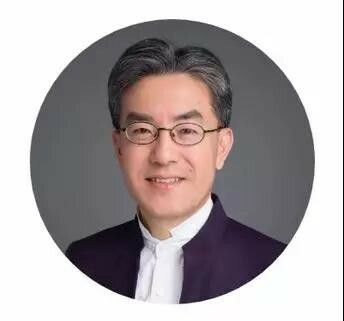 In 2000, he returned to China and founded Ketai Century, where he started the research and development of the self-designed Elastos network operating system. In 2003, he completed the kernel and graphics systems. By 2007, he built a complete smartphone and massively produced it. In 2009, China Unicom used Elastos’ middleware as a fertile Phone operating system framework. In 2013, Foxconn invested in the Elastos open source project to build a distributed, cross-Internet industrial Internet of Things, and a smart home network operating system. In May 2017, Rong Chen co-founded the Elastos Foundation to support Elastos — a blockchain-driven Internet project, attempting to create a new digital smart economy model that turns numbers into wealth. Until today, GitHub’s Elastos repository (https://github.com/elastos) has open sourced tens of millions of lines of source code, including more than 4 million lines of original code. 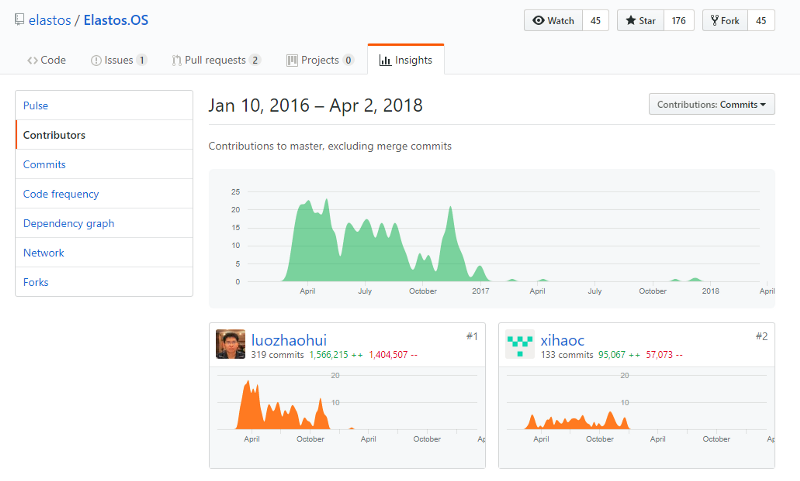 For the Elastos.OS project, one can see on the Github chart that there was a huge amount of code submission between 2016–2017. Elastos has clearly made a huge breakthrough during that year. Between 2017 and 2018, Elastos focused on three projects: Elastos.RT, Elastos.NET, and Elastos.ELA. From the name and readme of the three projects, Elastos.RT is mainly responsible for the APP runtime environment. Elastos.NET is the Internet blockchain system, and Elastos.ELA is the blockchain project token. As two extremely difficult operating systems in the blockchain — Elastos.RT and Elastos.NET, I had to rely on my technical skills to understand the core technology and the differences of the two projects’ technology. Since the Ethereum Network is currently limited by the CPU’s single-threaded performance, the number of transactions per second is limited. From the initial Ether Kitties game, we know that kitties are purchased and fed through Ether coins. For such a simple logic game, due to reaching a limited number of transactions, it triggered a congestion of the Ethereum network. Building off the foundation of the Ethereum network, EOS has increased scalability. First of all, it depends on Graphene technology (please Baidu on your own, as Graphene technology is beyond the scope of this article). It shows that in the stress test, it reaches 1w-10w transactions per second. Secondly, EOS uses a concurrency mechanism to extend the network, which can reach up to millions of transactions per second. If these benchmarks are implemented, EOS should be able to support thousands of commercial-scale Dapps. Let’s go back to Elastos. EOS is a blockchain operating system. It only provides the underlying technology at the blockchain level. Elastos is building a blockchain-driven Smartweb, that is, a blockchain computer network operating system. Blockchain technology is only part of the Elastos plan. EOS is a platform. The key of an operating system is whether it provides an operating environment for all applications. The platform system does not provide an operating environment, but by providing an interface it can use such functionality. The idea of the EOS project is to provide interfaces, so it is a platform line of thinking. On the other hand, Elastos provides an operating environment. This is the most essential difference. One can think of it this way: an application can’t run on a pure EOS platform because EOS does not provide an operating environment, but when EOS is combined with Android or iOS, it can provide an interface for the application to run. Then the application can run. Elastos, however, does not need to work with Android or iOS to run. It is completely monolithic. Elastos is currently the only one in the world that is building a distributed trusted operating system, based on trusted attributes and an independent operating environment. This is why such an operating system can hold large-scale Dapp applications. Next, let’s take a deeper look at the Elastos pain point solutions and technical implementation plans. In the past few years, Bitcoin has brought credibility to recording information, and Ethereum has implemented trusted computing based on trusted recording. Elastos itself is a trusted application environment that is based on trusted records and trusted computing. The existing blockchain is a single-chain structure. There is a limit to the computing power, and there is no way to expand capacity. As the entire storage and computing space, Blockchain does not support integration into a user’s daily life, nor does it support digital content applications, audio playback, and video digital resources. Elastos adopts a flexible main chain + side chain blockchain design structure. The main chain is only responsible for basic transactions and transfer payments. The side chain allows you to alter the various applications and services supported by the smart contract. Moreover, each blockchain is a server. Elastos is able to meet diverse needs through its flexible side-chain approach, which allows different applications and services to share a side chain or be deployed on different side chains. In addition, through Elastos Runtime, Elastos can run applications in isolated processes and communication-constrained sandbox environments. All network data must be sent over secure, trusted, and identifiable channels. These identities and authentication all come from the blockchain identity ID. This allows the blockchain’s reliability to be passed to Elastos Runtime. The Elastos Runtime can have many forms: it can be an independent OS, can be a virtual machine (VM), or can be an SDK that combines native apps. Blockchain and Smart Contracts. As the operating system’s trusted zone, the blockchain can implement “trust”. The Elastos main chain uses Bitcoin’s POW mechanism to ensure the reliability of data transmission through joint mining with Bitcoin. At the same time, Elastos provides services and extends third-party applications through its side chains. Elastos Carrier. Elastos Carrier is a completely decentralized P2P network service platform. For Elastos, it is an important support infrastructure for decentralized application development and operation. It is the Elastos P2P Network Platform part of the architecture diagram. Elastos SDK. This is the traditional APP (i.e. Wechat, QQ, Taobao, and other mobile phone software). These APPs can extend their capabilities by introducing the Elastos SDK, gaining typical blockchain abilities like identity authentication and trusted records. The overall architecture looks relatively clear. We can determine what module to implement. In the traditional blockchain, if one-time transaction for demonstrating 50% of the nodes is real, then the next transaction operation will be considered real no matter if it is true or not. Therefore, relatively speaking, EOS still relies on the underlying operating system. If an application has a large installation capacity, it can become treacherous at any time (50% of hacker operations are to make false transactions seem like real transactions). However, the solution from Elastos will not have this kind of problem. Elastos will set up each terminal device as a “personal cloud peripheral,” such that each individual is at a remote external link device. There is strict control of which external peripherals are not allowed to access the Internet. That is, these devices can only operate in their own cloud computing environment. An individual can browse websites, chat, listen to music, watch videos, but can not broadcast to other people’s external peripherals. The key to Elastos is to prohibit the App / service in the sandbox from sending any network packets. The reason is that Elastos Runtime doesn’t provide Socket interface or any network port, but rather uses metadata driven remoting, then Runtime automatically generates RPC to complete the sandbox connection. Network data transmissions between the personal clouds on each mobile terminal have their own unique “network operator’s new operating systems” to bear. Applications and services are not allowed to send IP data packets. Since it is not allowed to send IP data packets, it is very difficult to initiate DDos network attacks. In addition, Elastos Runtime does not leave any opportunity for the application to access the POSIX interface of the underlying physical machine, such as the Java Native Interface (JNI), so a virus has no way to invade the computer. Elastos Runtime also forbids applications from directly accessing the network, so network attacks such as DDoS are even more impossible. From a security perspective, this is a very meticulous design. I learned from Elastos’s official website that during its development process, the Elastos project received over 200 million RMB in sponsorship fundings from Foxconn and other industrial giants. Last year in 2017, Elastos won the angel investment of Blockchain industry giants such as Jihan Wu, NEO’s Hongfei Da, and Huobi.com. Jihan Wu, as the founder of Bitmain, has the greatest computing power in the world. Hongfei Da is the founder of the small organization NEO. NEO has already achieved good success on the public chain. Whether or not Elastos will continue to innovate even with the huge computing power of Bitmain and the strong ecosystem support of NEO, is something we will just have to wait and see. Previous articleRong Chen Answers Feng Wang’s Ten Questions — Why Do I Stick with Building a Blockchain Operating System?